Bannon: Trump Jr and Kushner meeting with Russians was "treasonous"
In a new book, former Trump campaign manager and presidential strategist Steve Bannon is quoted as saying contacts the campaign had with Russian agents before his involvement were “treasonous” and “unpatriotic,” singling out a meeting attended by the president's son and son-in-law. Bannon comparing Breitbart, his own media outlet, to "other more legitimate publications" is something of a buried lede. But it's not as if anyone's pretending otherwise. So @anthony makes a great point: Bannon's comments to Wolff came when he was in the White House. Now that he's not, and Mueller has started to look at him, he's singing a different tune. 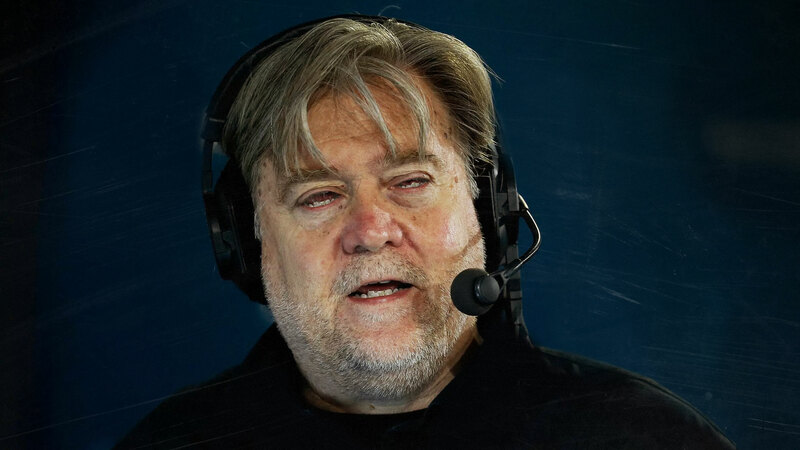 So Bannon is giving the Democrats everything they ever dreamed of just in time to torpedo the Trump agenda going into the midterms? WHY would he do that? It's the opposite of what he stands for. I don't believe it.